Moving Toward Market Dominance | Optima Group, Inc. Continuing to honor of the passing of index fund champion, Jack Bogle, we would like to point out the likelihood of an upcoming milestone. Sometime this year, or the beginning of 2020, investments in passive domestic equity mutual funds and ETFs will outstrip those in actively managed mutual funds for the first time ever. The chart below tells the story. Twenty years ago, actively managed domestic equity funds hit $2.3 trillion in total assets, over 10 times the amount in passive. But as active funds suffered severe downturns in the market crashes of 2000 and 2008, assets in passive funds continued to grow fairly steadily. By November of last year, assets in domestic equity index products had pretty much closed the gap. 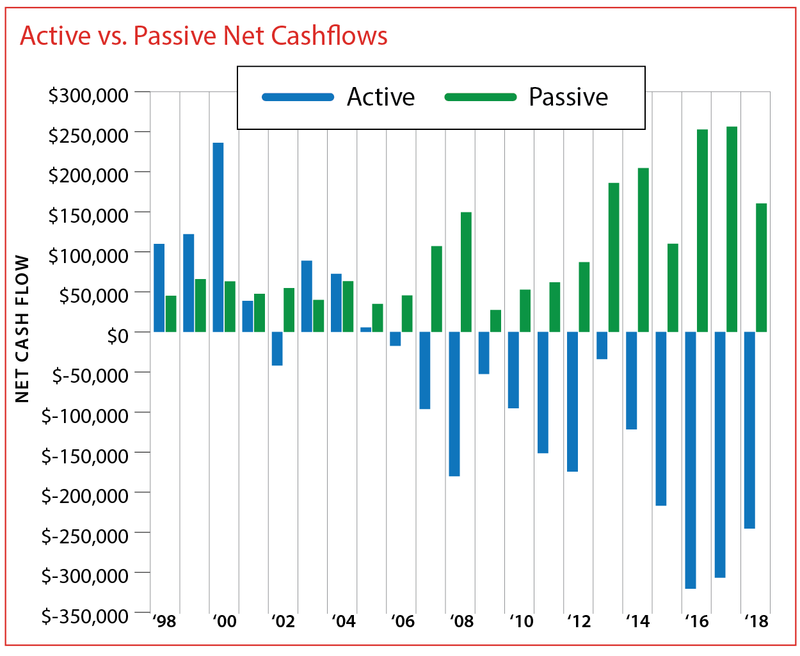 In recent years, the spread in net new cash flows between passive and active has increased dramatically. If this trend continues, passive assets will move ahead in the next 12-15 months. 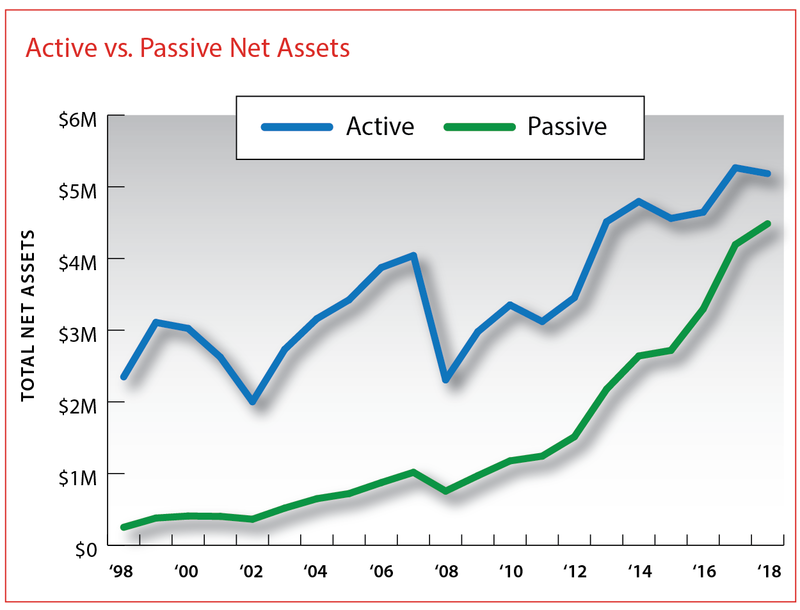 Perhaps more importantly, it does not appear that the relative growth advantage of passive is likely to end soon, suggesting that this type of investing will more securely establish itself as the core of the majority of investors’ portfolios.